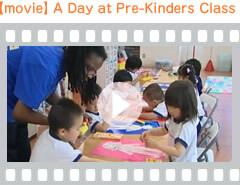 Upper-Pre-K class provides a fast-paced, hands-on approach to learning and aims to promote independent study. Opportunities are provided for individual and group projects (across all subjects) and children are encouraged to pursuit areas of interest using various resources such as written word, images and technology. The Upper-Pre-K curriculum is designed to further skills, knowledge and experience in order to ready students for elementary school.